Noble, high-quality sweaters should also be maintained with the appropriate care. By regularly airing on a suitable hanger you can delay the laundry, because too frequent washing is, especially for wool, not necessary and also not good for the fibers. 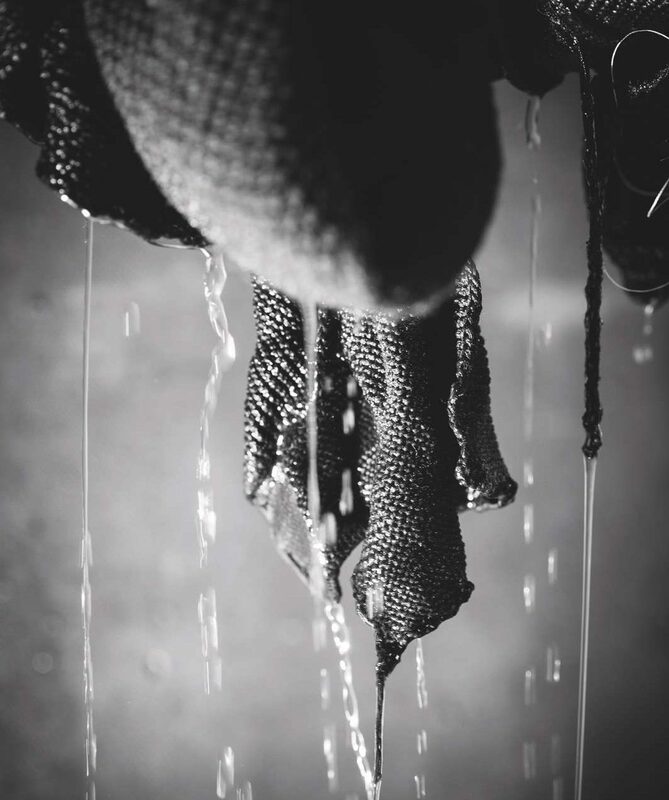 We wash all of the knitted parts before the final items are made. This ensures any shrinking takes place in advance. And this is an enormous advantage for the end consumer. We wash the items at our own in-house laundry using only a vinegar-based additive and based on a natural and environmentally-friendly basis. The vinegar softens Voralberg’s hard and calcareous water and fixes the color in place. The high quality fibres we use do not require any artificial softener or other chemical additives. After washing, the items are pre-ironed using a special machine and then prepared for manufacturing. During this initial ironing process, measurements are taken for the second time in the production process (length and width) to guarantee consistent sizing of the end products. 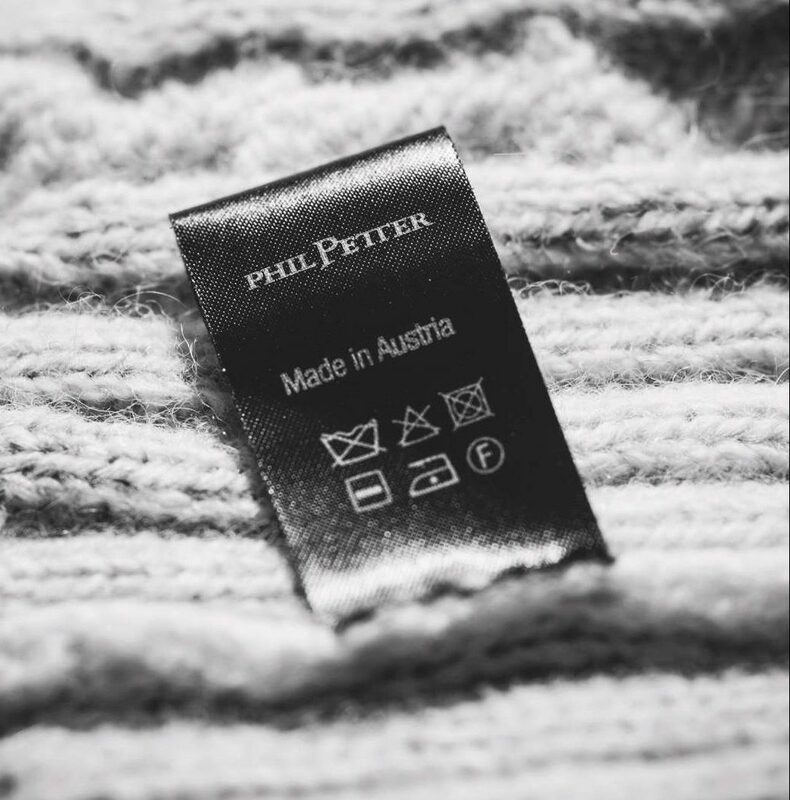 How to you wash your Phil Petter? Knitwear should always be washed seperately! Please use a bigger laundry bag to avoid possible damages while washing! cold wash only with wool wash cycle and liquid wool or cashmere detergent. cold wash only with delicate garment cycle and liquid mild detergent. For machine wash please use lower speed spins. Never tumble dry knitwear and jersey! After washing please don't wring out the garment, press with a soft towel to absorb excess water. Gently knead the washed garment by hand into shape and size, and carefully flat dry it on a fresh towel. Never dry knitwear hanging or on a radiator. T-shirts can be dried on a suitable hanger. Iron inside-out with steam and no pressure. Preferably without touching the surface. Of course, every Phil Petter garment can also be dry cleaned.